– Attend to Calls and accurately document the call details. – Use the medical expertise in collecting the right information from the callers. – Timely and accurately document reports and all other deliverables on time. Cognizant (NASDAQ: CTSH) is a leading provider of information technology, consulting and business process outsourcing services. Cognizants single-minded passion is to dedicate our global technology and innovation know-how, our industry expertise and worldwide resources to working together with clients to make their businesses stronger. With more than 35 global delivery centers and over 50,000 employees, we combine a unique onsite/offshore delivery model infused by a distinct culture of customer satisfaction. A member of the NASDAQ-100 Index and S&P 500 Index, Cognizant is a Forbes Global 2000 company and is ranked among the top information technology companies in BusinessWeeks Info Tech 100, Hot Growth and Top 50 Performers listings. Our business culture is neither India-centric or exclusively Western in style, striking the best balance of all the offshore firms. 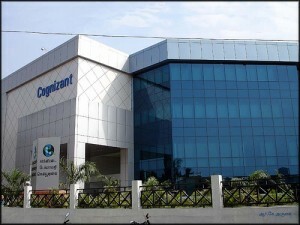 Most of our Cognizant management team has extensive US or European experience, and understands our clients’ culture.In India , Cognizant is considered a ‘local’ player with a very strong reputation for excellence. Our clients benefit from our non-hierarchical, responsive “can-do” approach to business. Cognizant is the only major offshore company organized around verticals and horizontals rather than just regions and development centers. With our deep domain expertise in key verticals and large-scale horizontal solution, we are a highly project-oriented firm that can take complete responsibility for large development and integration projects, and for delivering bottom line results from application management. We have a strong track record of successfully executing very large scale,complex, transformational development and integration projects offshore. These are the kinds of projects that have not been traditionally considered “off-shorable”. We have also developed proprietary CMM-Level 5 processes to successfully manage and deliver these projects offshore. Our level of success has not been matched by any other major offshore player. 1. Candidates with 1+ years of experince in Voice Processes will only be considered. 2. Candidates with BSc/MSc background need only apply. Hugo Chavez, Venezuelan President Dies! Apple & Samsung Enjoys 55% of Smartphone Market, 90% of it's Profits!